The members of Clastic don’t function like most musical acts. In fact, if asked to liken the band to anything, the most apparent answer would be that of a long-distance relationship. This is because the foursome, although based in Berlin, has its membership spread throughout Europe. 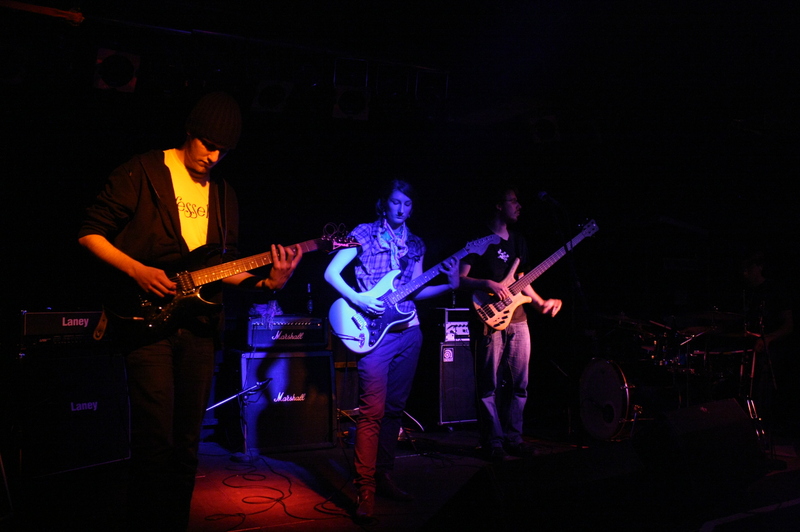 Guitarist Niklas Lutterbach said that because of the distance between the band members, regular practices are not an option. Instead, every three months or so, the band will get together for a week or two at a time and spend as much time as possible writing new songs and rehearsing old ones. And although the upcoming year will hold more challenges for Clastic, including adding more physical space between members as one of them moves to Belgium, the band still has plans to keep at it. Lutterbach said a tour is in the works for sometime in the late summer, and although it’s not confirmed, the band might try to release another EP, given time, resources and money. In spite of challenges, perhaps one of the reasons why Clastic works is because the history of the four. Lutterbach and the other three members (guitarist Lorina Speder, bassist Tobias Heß and drummer Till Korn) have known one another since high school, playing together in different constellations. Because of this, it’s difficult to nail down a specific time as to when Clastic formed, although Lutterbach estimated it has been two or three years. In that time, the band has played about 50 shows, which is somewhat impressive for a band so spread apart. Clastic’s first EP, “Strata,” came out last April. Now, this month will see the release of “Somnambulist,” seven new songs which were recorded last summer at Erich-Thienhaus-Institut in Detmold, the school Heß attends. In contrast to the EP, which was self-done and recorded over an extended period of time using borrowed equipment from friends, the process for recording “Somnambulist” was much quicker, lasting only 10 days. “I don’t know if you can consider this an EP or a mini-album or [what],” Lutterbach said. But semantics aside, it’s something the members are admittedly proud of, as it reflects the way the music has changed and they themselves have grown. “In the beginning we did a lot of jamming and then recorded it with a tiny sucky Handy recorder,” Lutterbach said, explaining how the band originally wrote songs. Now, instead of listening to jam sessions and picking out bits and pieces, the members come into sessions much more prepared, and armed with things they’d like to try out. The lack of having a singer also helps keep the focus, because each member is able to concentrate 100 percent on playing his or her own instrument, instead of trying to juggle both singing and playing. Lutterbach also made certain to clarify that the band prefers to be referred to as instrumental music, because ultimately, it plays rock music without vocals. Clastic plays tonight at Schokoladen in Berlin. The show begins at 20.00. This entry was posted in Interview and tagged Clastic, Feature, German, Interview. Bookmark the permalink.